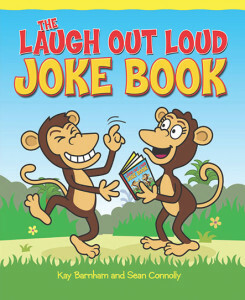 A hilarious, fully illustrated joke book for children aged 8+. Containing over 800 eye-wateringly funny gags including: comedy classics (old favourites given a modern twist); one-liners; silly shaggy dog stories; the best spoof film, song and book titles you’ve ever heard; and many more! The humorous illustrations give added pace and extra laughs. A great gift for all the family to enjoy!